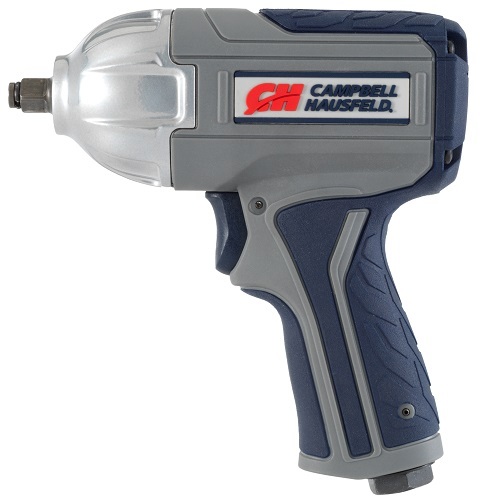 The Campbell Hausfeld Get Stuff Done 3/8 inch Impact Wrench is the right tool for the job when you need a smaller impact wrench that doesn’t compromise on power. 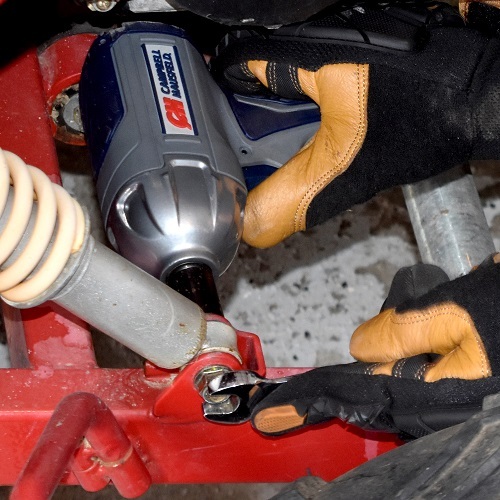 The balanced twin-hammer mechanism reduces vibration, making this wrench more comfortable to use. With a working torque of 160 ft. lbs., BPM of 1,300 and RPM of 12,000, the XT001000 gets stuff done efficiently. 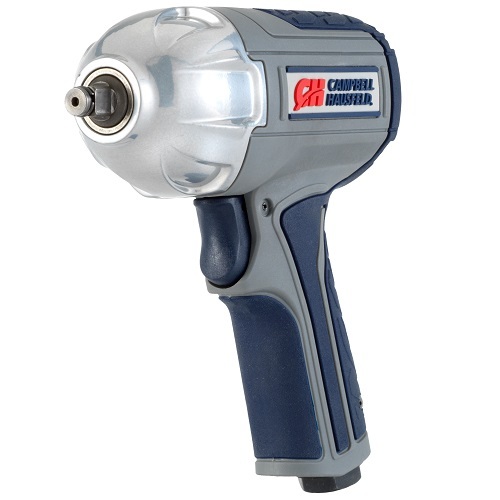 The impact wrench features variable speed control while the lightweight design (2.8 lbs.) 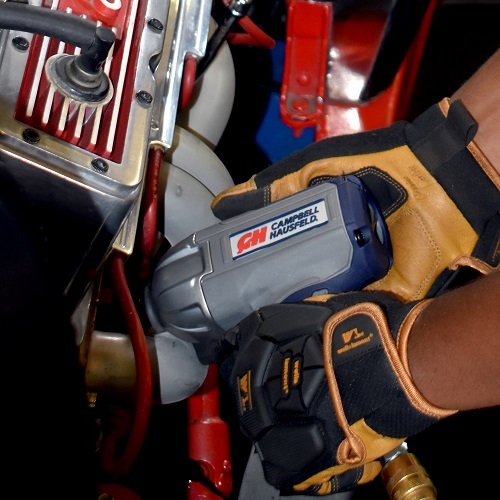 gives you the support you need in tight spaces to get the job done. The rubberized, ergonomic comfort-grip combined with the easy-pull trigger makes this unit user friendly. Average air consumption of 3.4 CFM @ 90 PSI. Maximum Pressure of 90 PSI. Air Inlet of ¼ inch NPT (F). Minimum Hose Size of 3/8 inches. 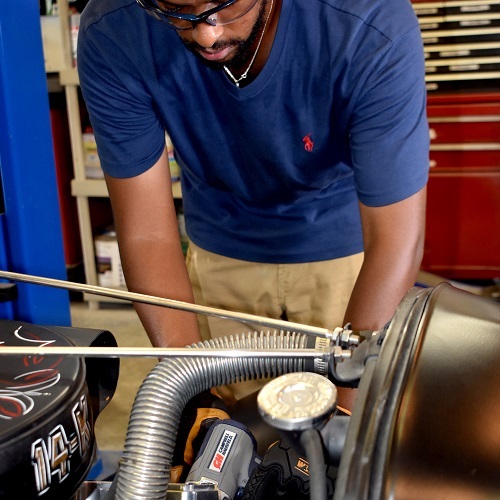 An air compressor with a tank capacity of 8 gallons or larger is recommended. Get stuff done faster and easier with Campbell Hausfeld – The Air Power Expert.